GTCM allows its clients to perform transactions via a financial product that is called Contract for Difference (CFD). A Contract for Difference (CFD) is a contract between two parties, typically described as "buyer" and "seller", stipulating that the seller will pay to the buyer the difference between the current value of an asset and its value at contract time (If the difference is negative, then the buyer pays instead to the seller). 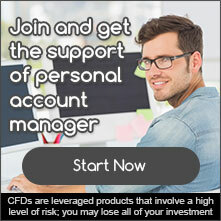 CFDs, with GTCM, allow you to trade on the price value of Forex, shares, commodities and indices. Trading on the value of a financial instrument without the need for ownership. If an investor buys shares of a listed company, he will have an ownership in that company and if the price of the share increases, he will earn the difference between the buying price and the selling price, for any share he holds. If the share price decreases, he will lose the difference between the buying and the selling price for any share he holds. If an investor trades by buying ounces of gold he will have the physical gold metal, and if the price of the gold increases, he will earn the difference between the buying price and the selling price for every ounce of gold he had purchased. If the gold price decreases, he will lose the difference between the buying price and the selling price for every gold ounce he has. By trading CFDs the investor holds a contract on the price value of the financial instrument without owning the actual share or the gold ounce. However, the principle for earning and losing is the same. The abovementioned examples were on shares and gold, however, this is valid for any financial instrument that is being traded via CFD. For securities like currency pairs, commodities, indices and stocks, the spread is the difference between the prices given for an immediate buy - the ASK price – and an immediate sell – the BID price. This represents the commission cost that the client will pay the broker depending on the size of the order executed. The spread is directly charged to the client equity at the beginning of the trade and the trade begins at a minus balance equal to the corresponding spread commission amount. To further explain, if the client opens a BUY position by clicking on ASK, the trade will be opened at ASK rate but the market rate will be the corresponding BID rate. Likewise, if the client opens a SELL position by clicking on BID, the trade will be opened at BID rate but the market rate will be the corresponding ASK rate. In order for the trade to be profitable, the spread/commission must first be covered by the market price before a trade begins to produce a profit. In case the client decided to close a position immediately after opening it, the cost incurred would be equal to the corresponding spread calculation for that position. Please also refer to the “Trading simulator” feature that is embedded on each clients’ account when they access the PROfit platform. For the full list of symbols of the financial instruments and the trading conditions with GTCM including the order size and information about related costs and charges, click on the following link:http://www.gtcm.com/Trade-with-us/Trading-Conditions. An investor wishes to buy 10 ounces of gold; he believes that the gold price will increase. The current buying price is $1,200 per ounce, at the gold shop. The investor will have to actually buy the gold and pay 10 ounces times $1,200 per ounce, which equals to a total amount of $12,000. He exchanges the money with the gold. This investor can go back to the shop and sell the 10 ounces anytime, with the aim of selling it after the price exceeds $1,200 in order to earn a profit. Assuming that the price increases by $50 and reaches $1,250 per ounce, the investor can sell the 10 ounces of gold and earn $50 per ounce, which would give him a total profit of $500 ($50 increase per ounce times 10 ounces). Assuming on the other hand, that the price decreased by $50 and reached $1,150 per ounce, the investor can sell the 10 ounces of gold and lose $50 per ounce, with a total loss of $500 ($50 decrease per ounce times 10 ounces). As explained a CFD is traded on the price value of other financial instruments. In case the other financial instrument has an expiry date then, the CFD will have the same expiry date. 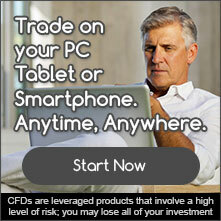 You can find all CFDs that have an expiry date by click here. The spreads provided are indicative and are subject to change according to trading hours and market volatility. Clients should note that these may vary and are advised to check important news announcements on economic calendar which may result in the widening of spreads, among other instances. Crude Oil (CL) is being traded as a future contract in the NYME (New York Mercantile Exchange) owned by the CME (Chicago Mercantile Exchange), with future contracts having an expiry date and indicating that the contract will be closed at the end of the indicated date. The CFD that follow the Crude Oil (CL) contract will have the same expiry date and will no longer be tradeable. Any open positions will be closed at the expiry date of the contract. Investors that wish to have a Crude Oil (CL) CFD after the expiry date, will need to get into a new CFD contract that follows the new future contract with a new expiry date. The expiry date can be found in the name of the CFD symbol. As seen from the examples above, with CFD trading the investor has a contract that commits him to settle any difference in the price with a loss (if the gold price goes below $1,200) and the counter party of the contract commits to pay him the earning (if the gold price goes above $1,200) and it is not necessary for real gold to be exchanged. Due to the fact that there is no real purchase of gold and it is only a committed contract to settle the profit or loss between the investor and the counterparty, the investor will provide a margin to secure the potential losses that he might suffer. The investor buys 5 ounces of Gold via CFDs at a price of $1,200 per ounce, amounting to a total trade value/exposure of $6,000 (= 5 ounces x $1,200). The minimum margin for Gold trading with GTCM is 5%. Therefore, the investor should have a minimum of $300 ($6,000 x 5% = $300) available margin in his trading account, in order to secure any potential loss for the specific trade. Using a small amount of funds in order to have a larger exposure is referred to as “Leverage”. The investor leverages his $300, to have a higher trade for the value of $6,000. The investor is liable for the leveraged amount in all aspects, whether it be profit, loss, overnight fees, etc. An investor who makes a deposit on his trading account and wishes to buy 10 ounces of Gold via CFDs at market price, is allowed to trade in Gold with a leverage of 1:20. The investor opens the trading box available on the trading platform and creates the requested contract details of 10 ounces of Gold. The trading platform calculates the minimum margin to open the trading position i.e. trade value = 10 ounces x buying price $1,200 = $12,000 (Total Exposure). The margin with 1:20 leverage (5%) = total exposure $12,000/20 = $600. This means that the investor has $1,000, therefore he has more than the minimum required and is able to open a position. Another example is if an investor has $500 in his trading account and his broker allows him to trade with a leverage of 1:20, then the investor can have a maximum exposure of $500 x 20 = $10,000 ($500 = 5% of $10,000). The total value of the trade is $12,000 and the investor is exposed to the fluctuation according to the leveraged amount. If the Gold price increases by 0.5%, the investor will gain $60 ($12,000 x 0.5%), therefore, the investor’s equity will be $1,060 ($1000 (deposit) + $60 (profit)) => a Gain of 6% of the deposit. If the Gold price decreases by 0.5%, the investor will lose $60 ($12,000 *0.5%), therefore, the investor’s equity will be $940 ($1000 (deposit) - $60 (loss)) => a Loss of 6% of the deposit. The risk -reward ratio is the same, therefore the investor will either gain or lose depending on the market movement and based on the same proportion. Trading CFDs carries a high level of risk since leverage can work both to your advantage and disadvantage. As a result, CFDs may not be suitable for all investors because you may lose all your invested capital. Please refer to the full Risk Disclaimer. As mentioned above, the risk reward ratio is the same, and the market prices can go for or against the investor. However, in highly volatile markets that move rapidly, the investor can lose all his money very quickly; without the investor having the ability to act (i.e. to close the positions or to increase the margin level by funding the trading account) resulting in the loss of all of the capital, i.e. Liquidation. For Example: An investor purchases 100 ounces of Gold via CFDs and the price per ounce is $1,200, amounting to an exposure of $120,000. If the Gold price drops by 0.85% within a period of 30 minutes, this fast moving change will put the investor’s equity at risk and he will incur a loss of $1,020 ($120,000 x 0.85%. The investor will lose all his capital at once and without being able to respond to the loss. When the client is at risk of liquidation, he will receive a relevant popup warning on his trading platform. However, when the investor is not logged in to his platform, he needs to be aware that there is risk of liquidation.